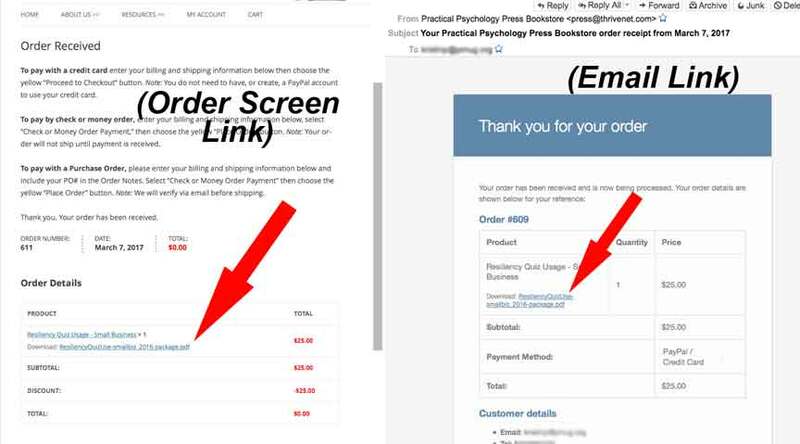 NOTE for DOWNLOADABLE items (such as the Resiliency Quiz): Look for a Download link on the “Order Received” page, as well as in the emailed receipt that is generated after payment is confirmed. View sample. Thank you!